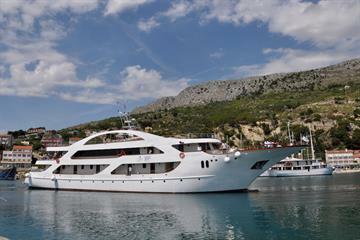 The beautiful Aurora yacht Croatia offers fantastic 7-night itineraries cruising the Adriatic Sea. 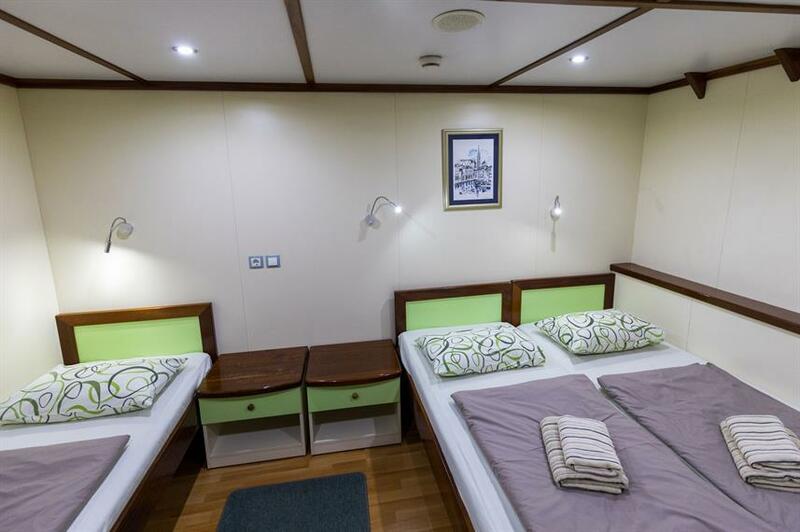 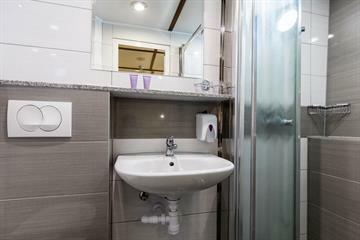 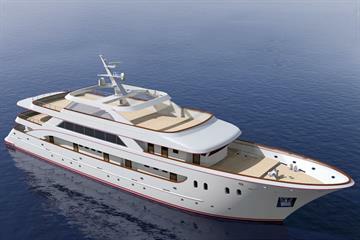 M/V Aurora has 19 cabins available, each with private en-suite bathrooms, toiletries, hairdryer, TV, wardrobes and desk. 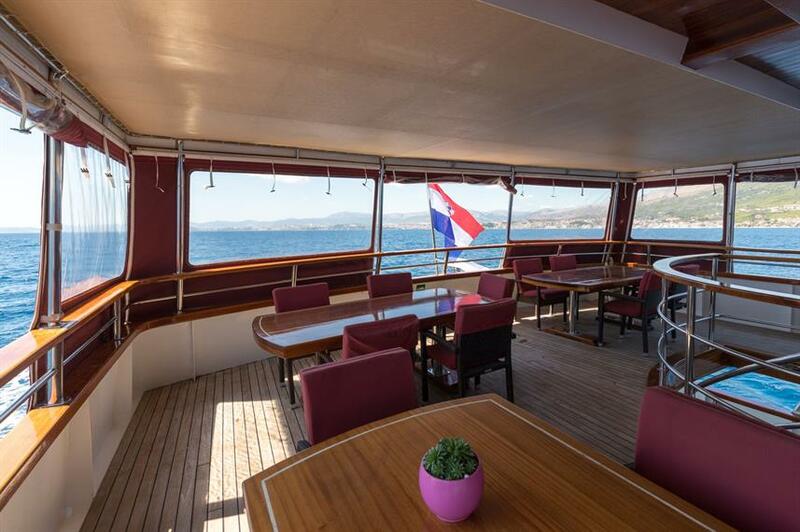 Social areas include the spacious bar, restaurant and salon with LCD TV entertainment system, outdoor lounge and dining area and sundeck with deck chairs, sunbeds and jacuzzi. 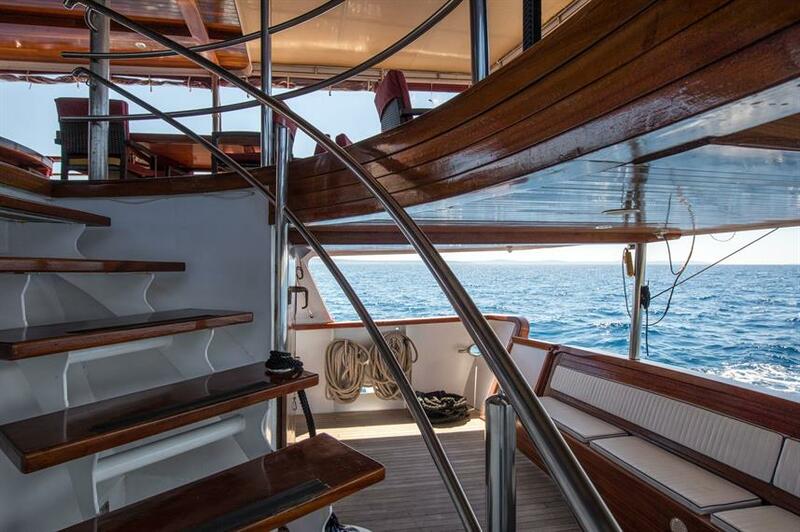 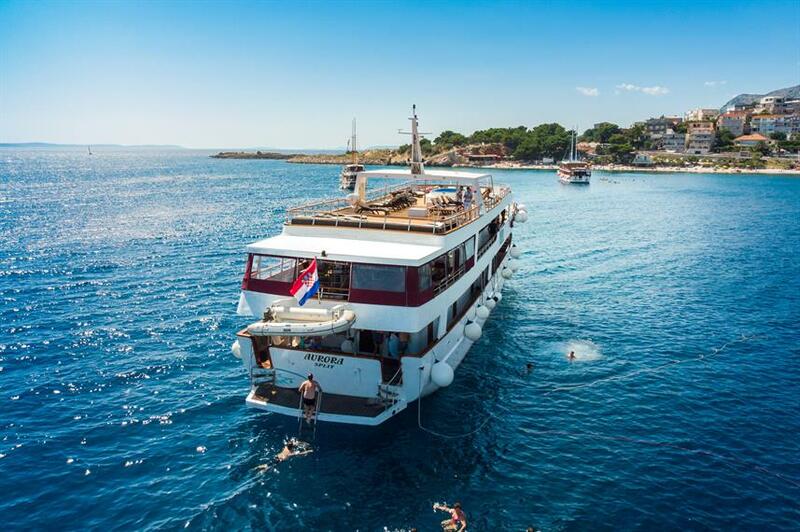 The swim platform at the back of the boat allows for easy access to snorkel or swim in the crystal clear waters of the Dalmatian coastline. 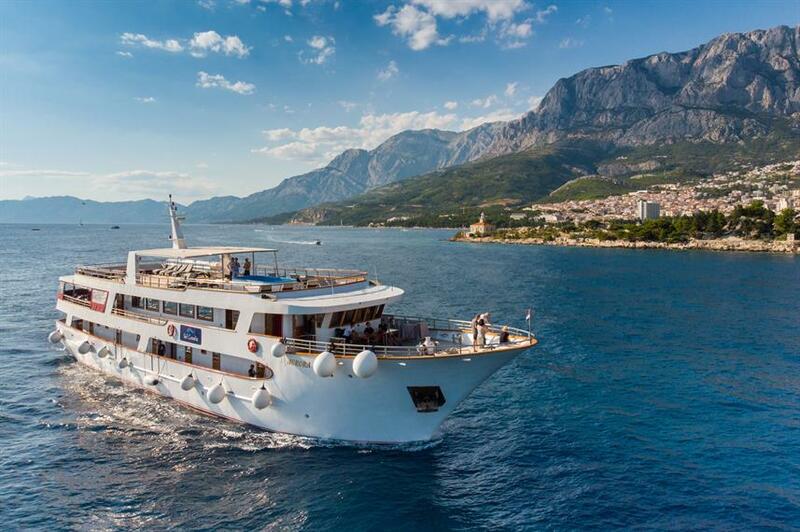 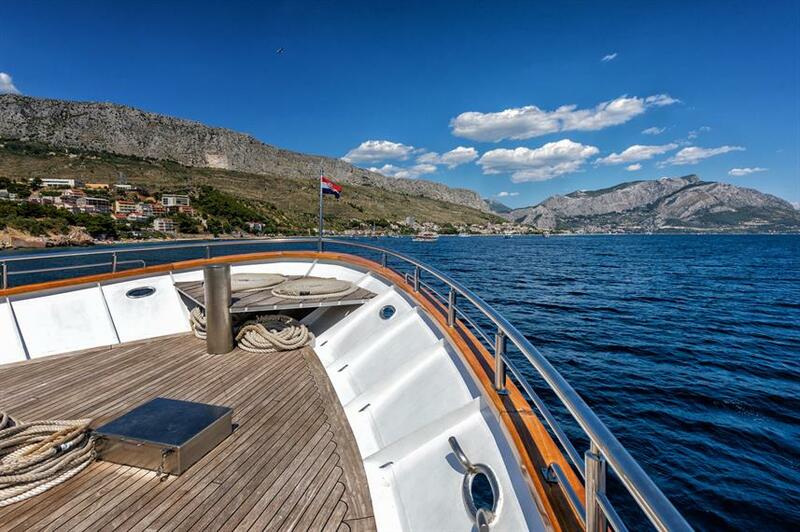 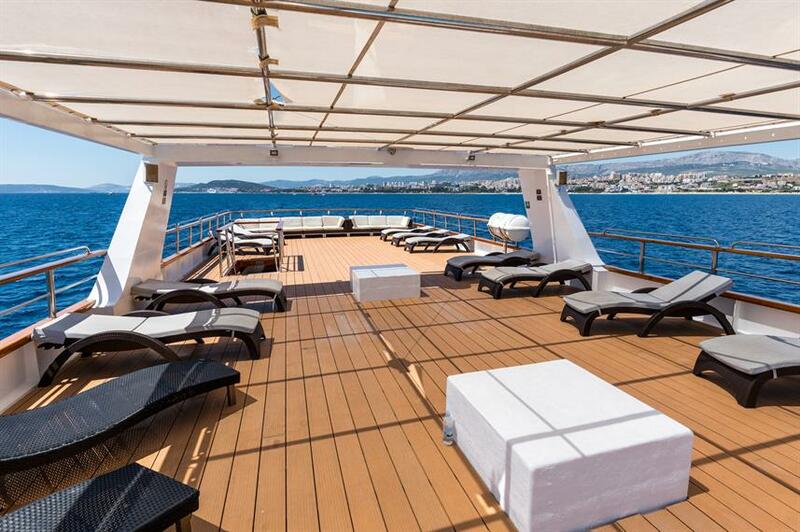 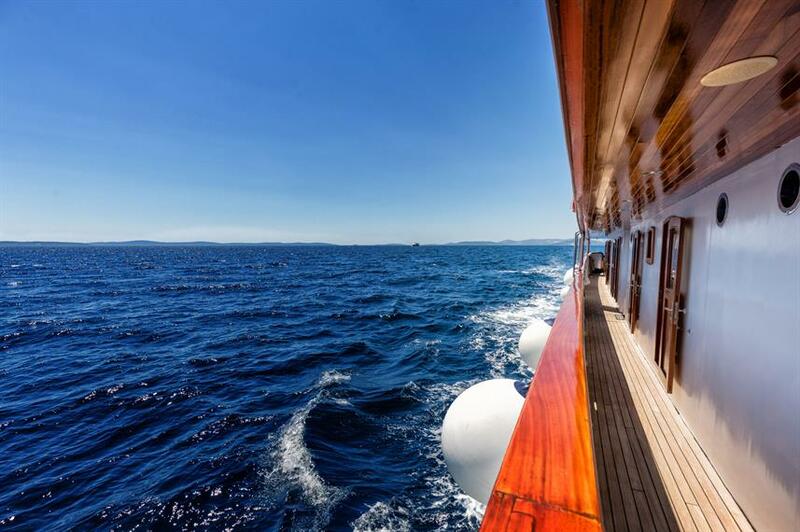 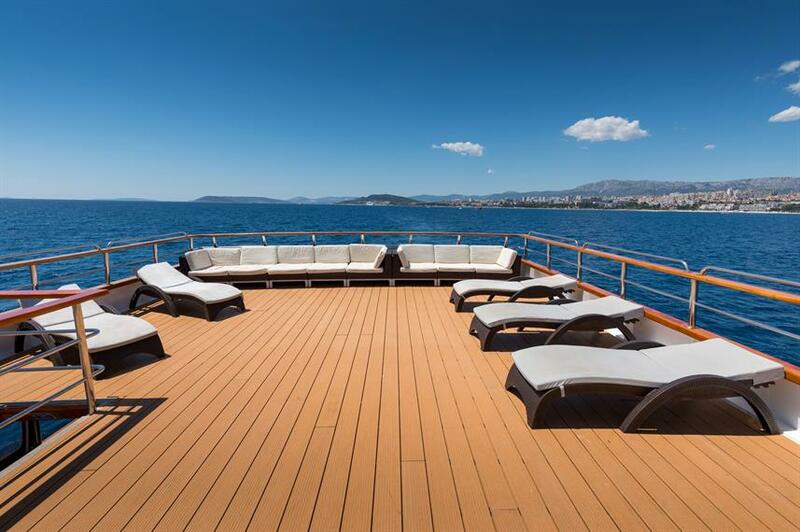 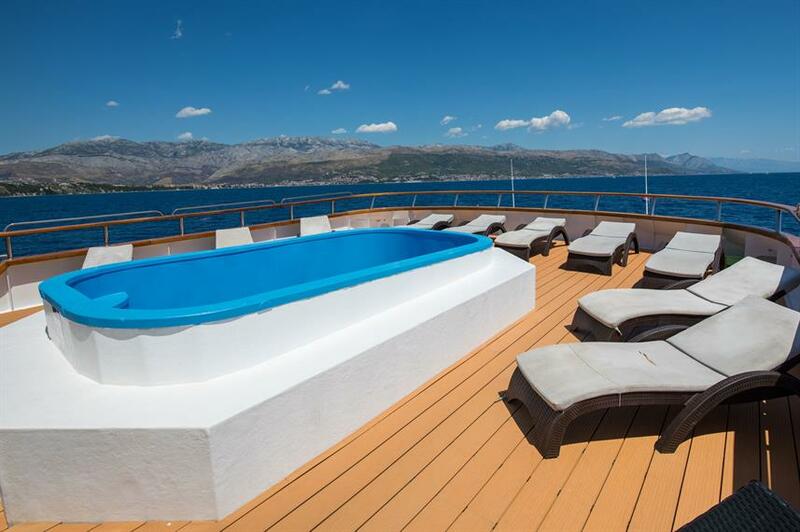 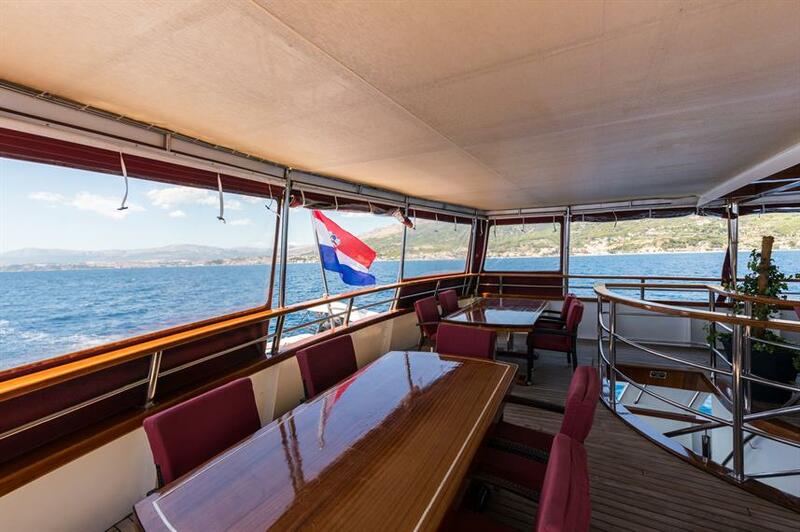 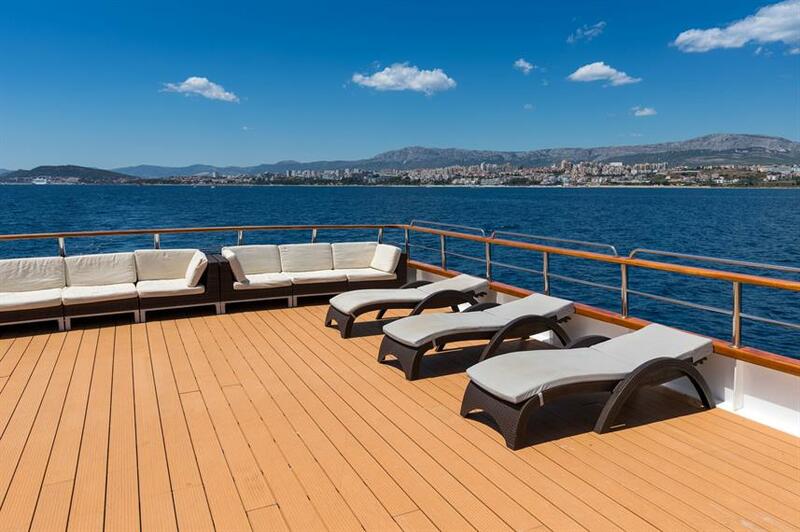 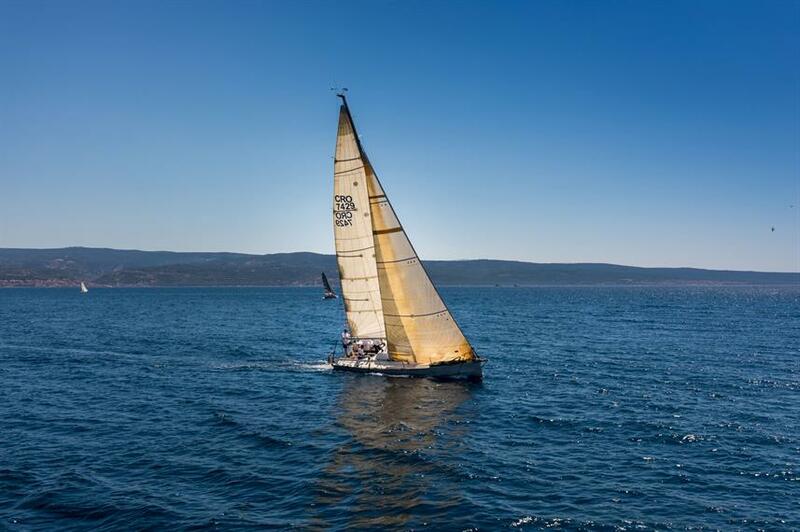 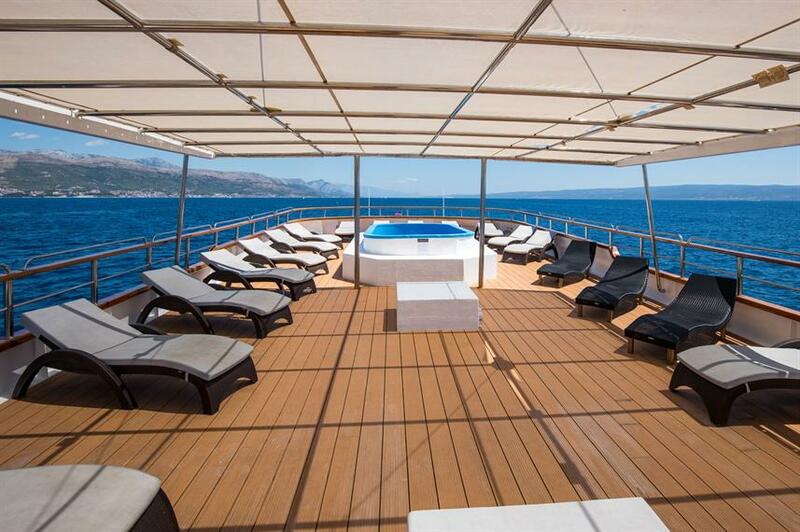 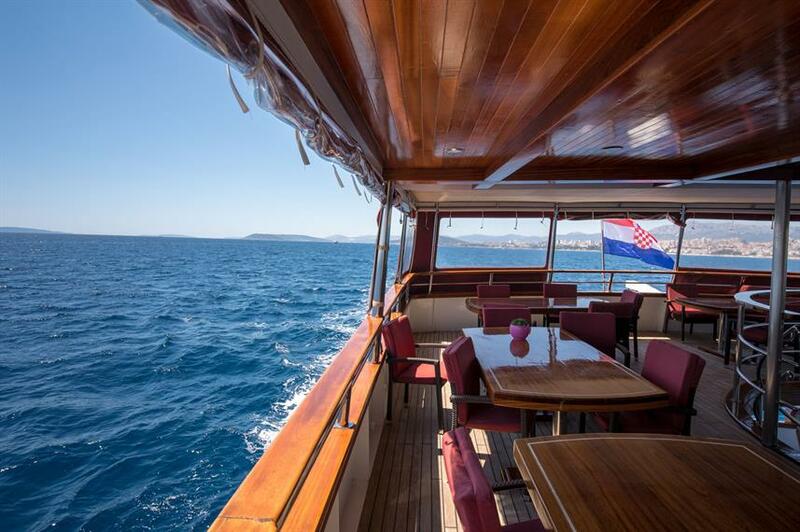 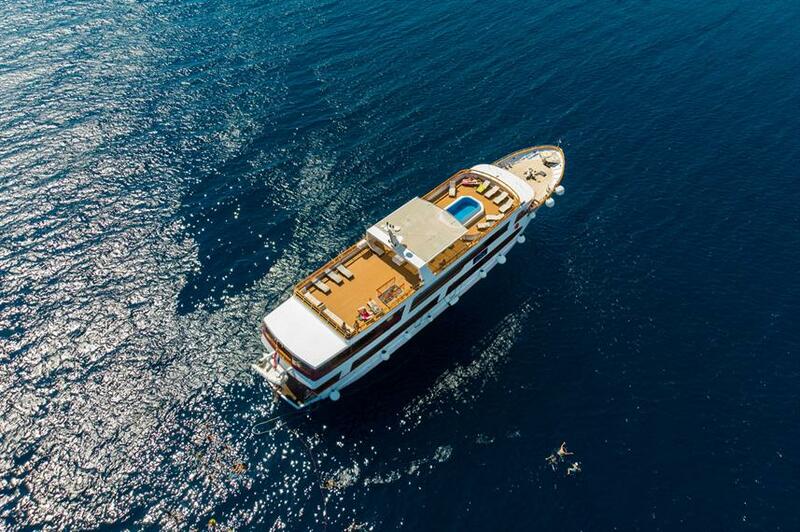 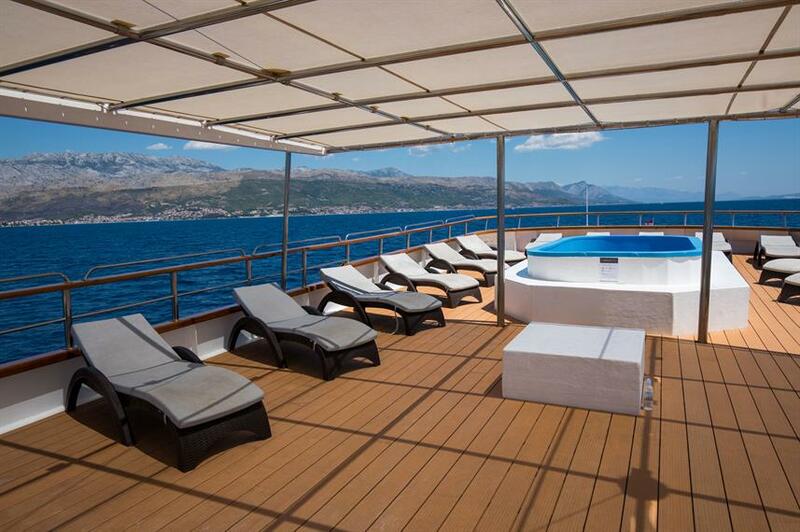 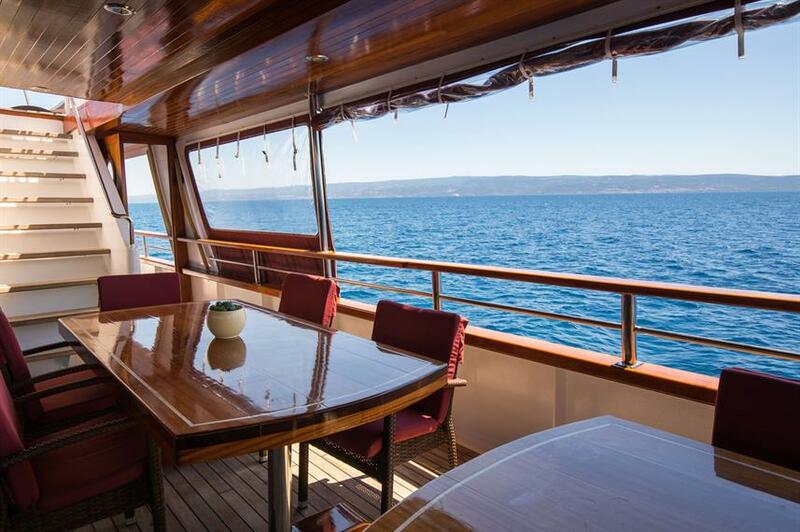 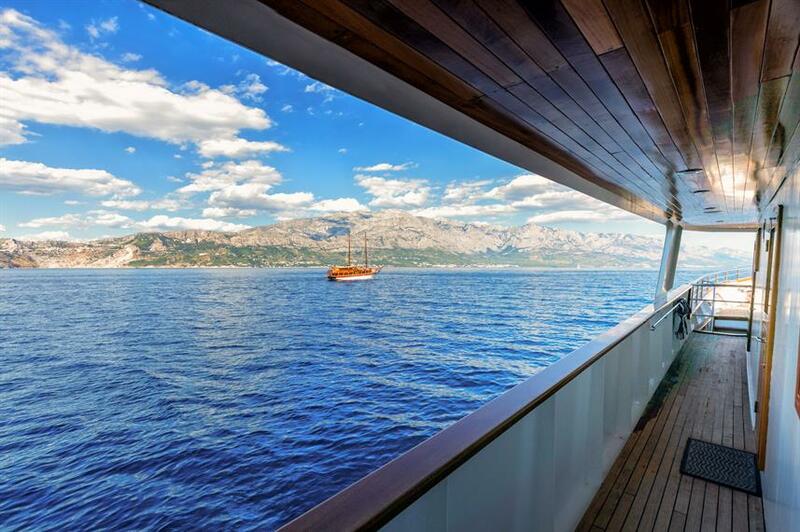 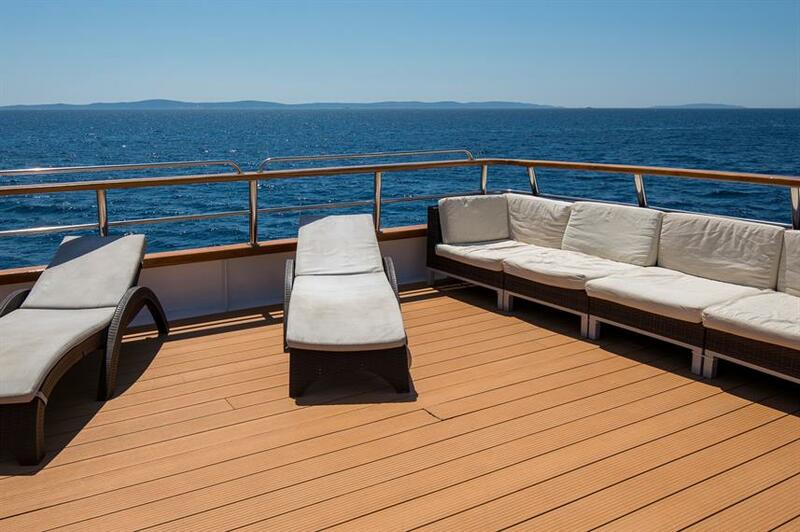 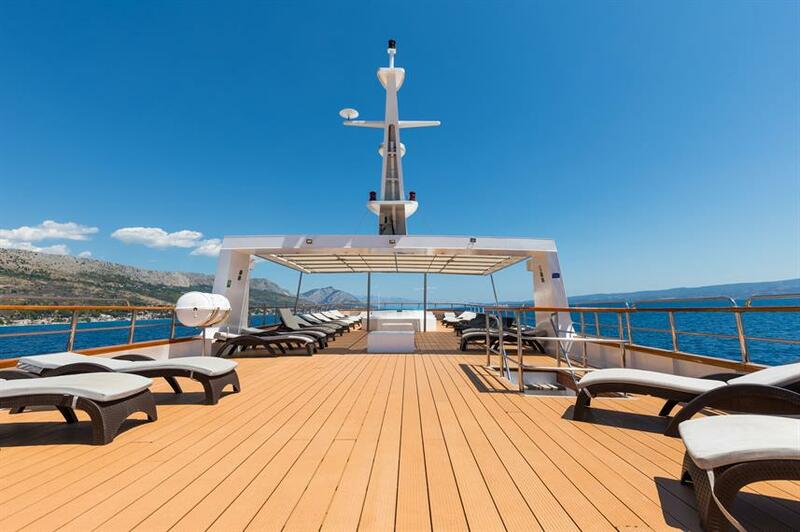 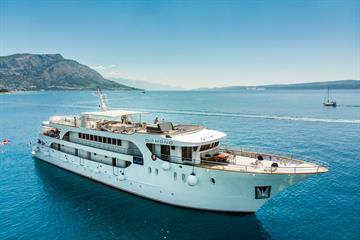 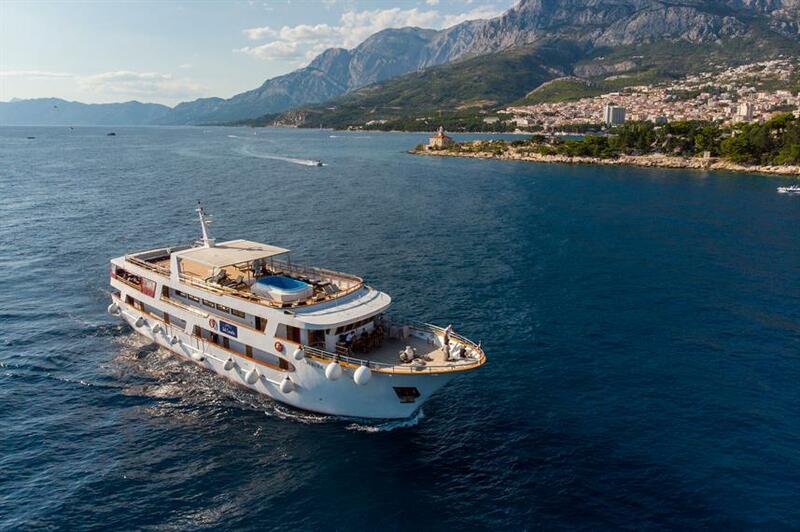 Small ship cruises in Croatia aboard the MV Aurora yacht are 8-days long and depart from either Dubrovnik or Split. 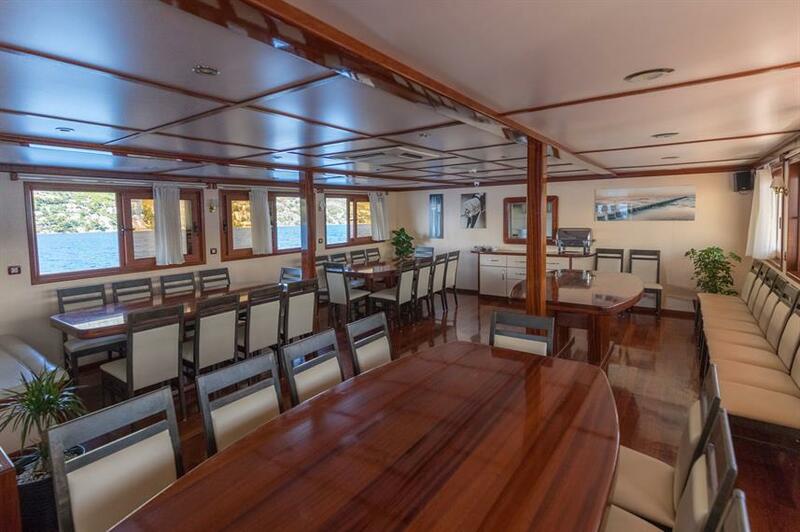 Half-board meals are included, as well as a captains dinner with live entertainment. 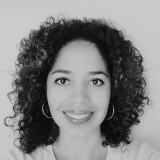 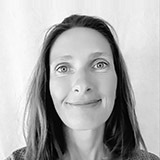 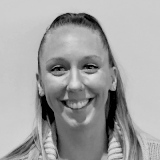 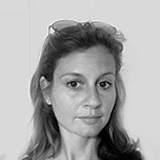 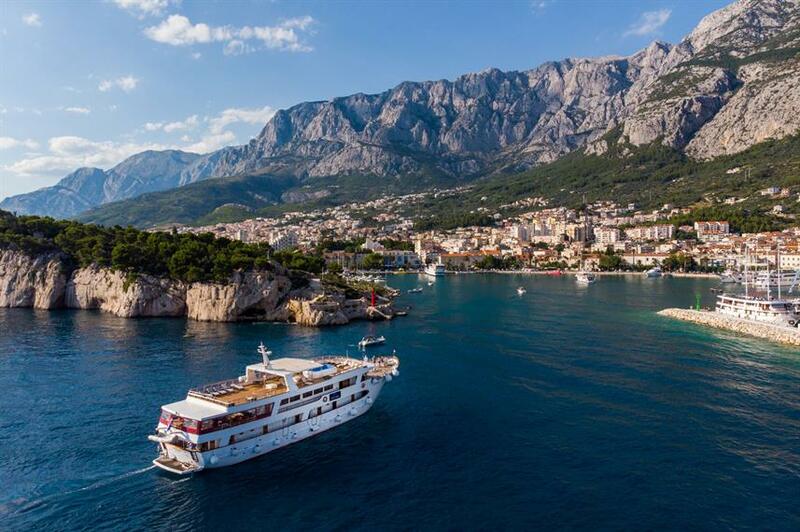 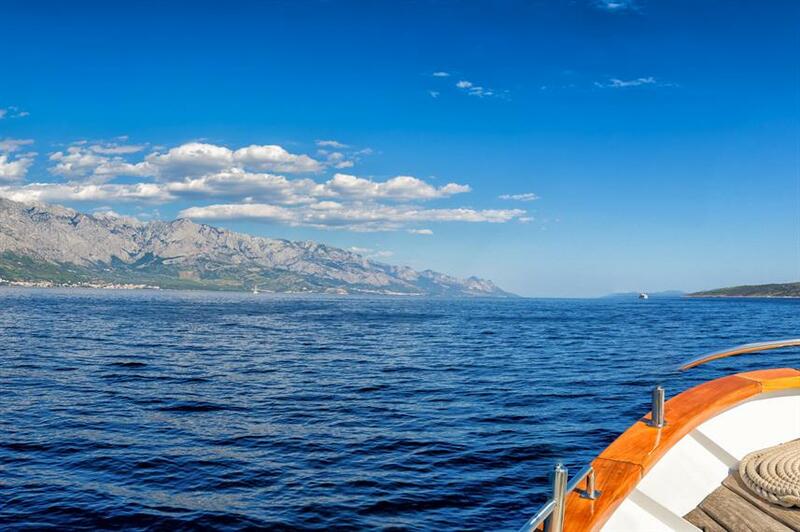 A professional English-speaking cruise manager is on board to ensure that all trips run smoothly so that guests can relax and enjoy the breathtaking sights of the Adriatic Sea. 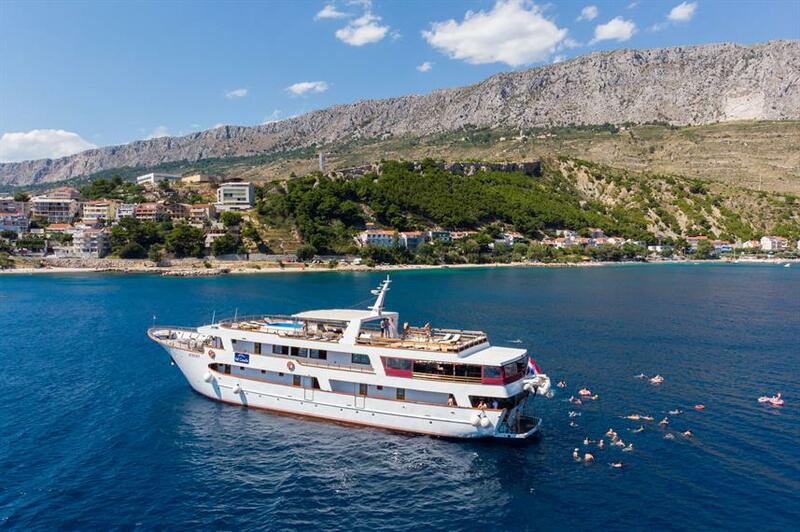 Activities include exploring the olive groves, bays and coves of Korcula, a guided tour of the Old Town of Dubrovnik, and a tour of the beautiful island of Mljet. 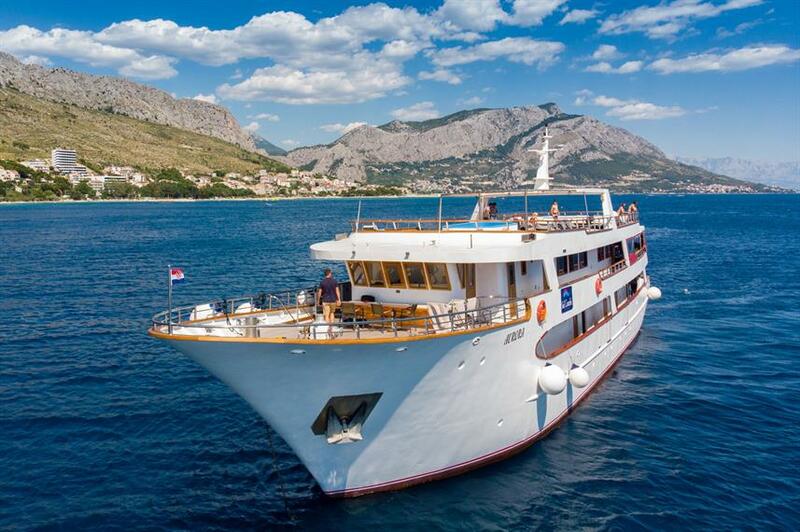 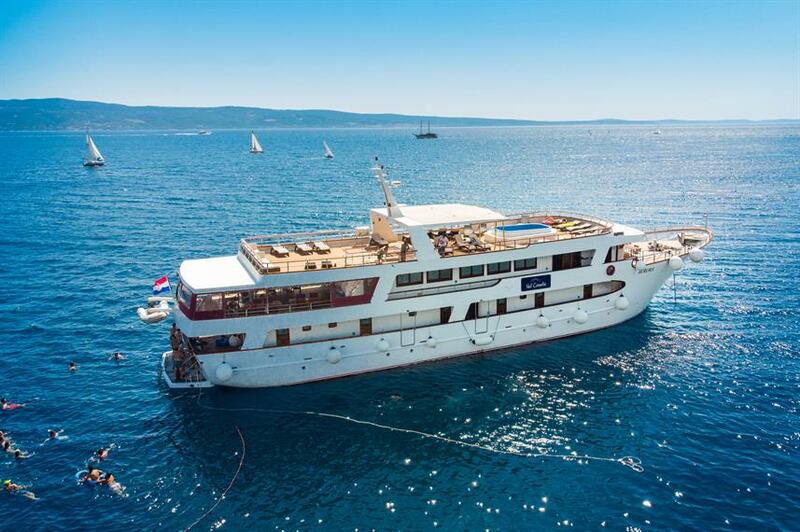 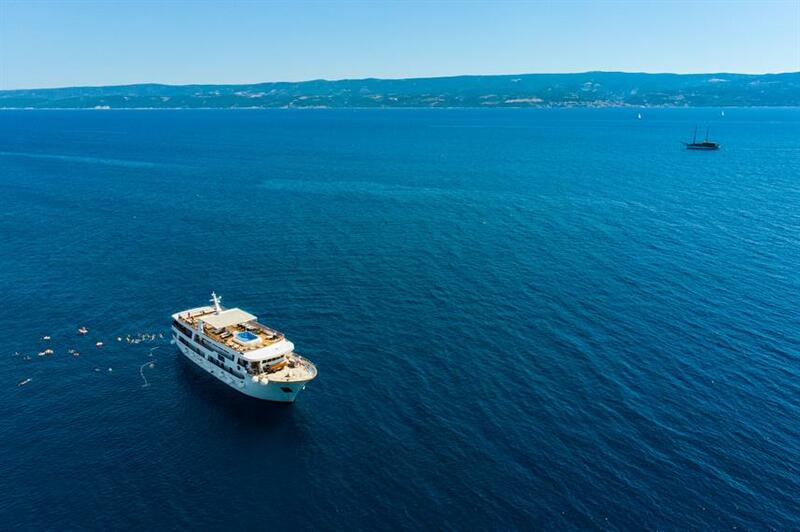 Croatian cruises are available from May - October and fill up fast, so call us or book online today to reserve your space aboard the MV Aurora yacht. 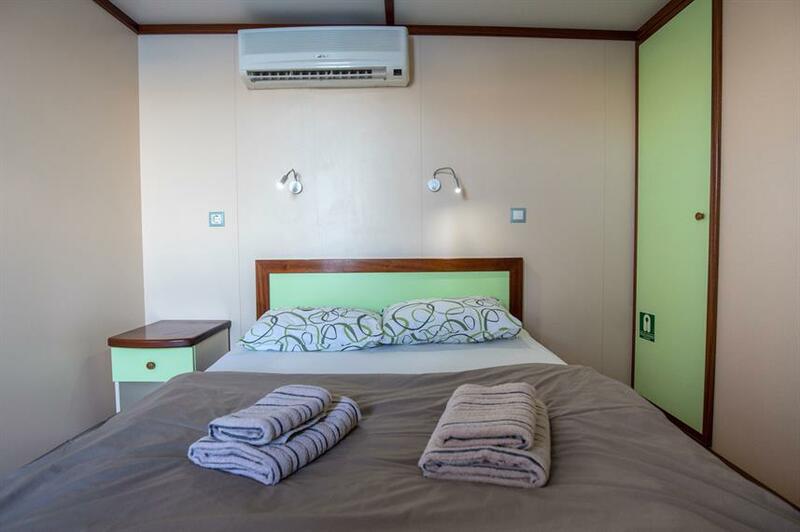 Included: VAT, Environment Tax, National Park Fees, Airport Transfer, Hotel Transfer, Drinking Water, Tea & Coffee, Half-Board Meal Plan, Snacks, Special Dinner, Land Excursions, Cabin Towels, Complimentary Toiletries, WiFi internet. 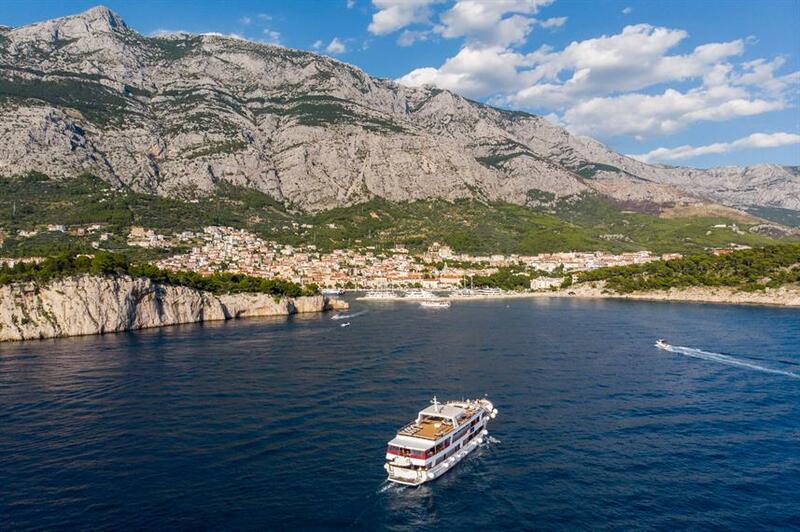 Required Extras: Port Fees (30 EUR per trip). 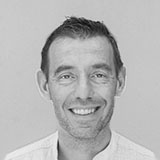 Optional Extras: Gratuities, Alcoholic Beverages, Soft drinks, Beach Towels (5 EUR per trip), Laundry / Pressing Services. 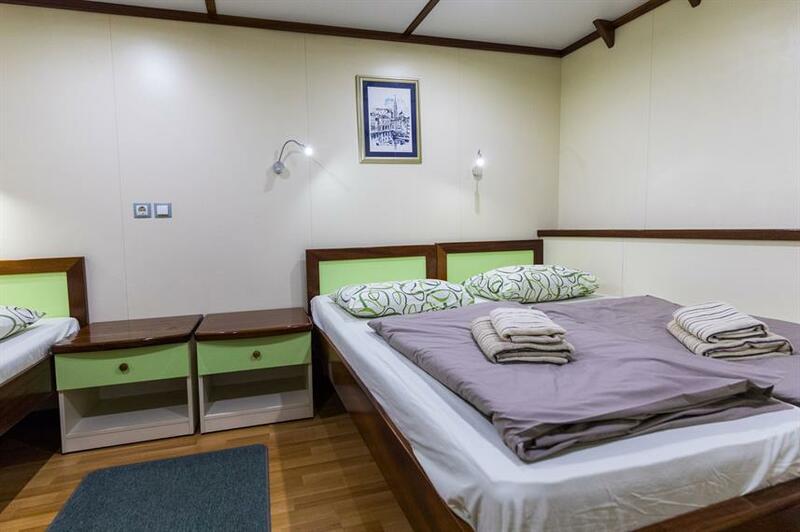 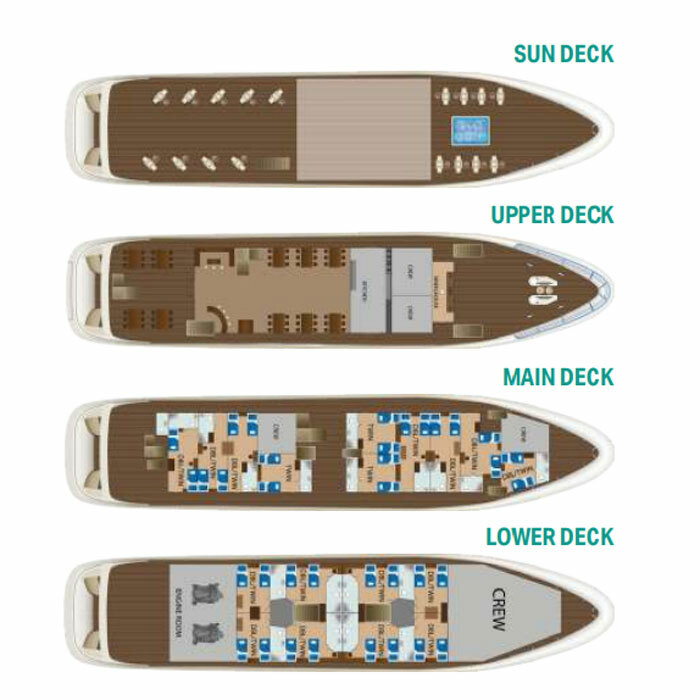 Double/twin cabin with ensuite bathroom, Located on the lower deck. 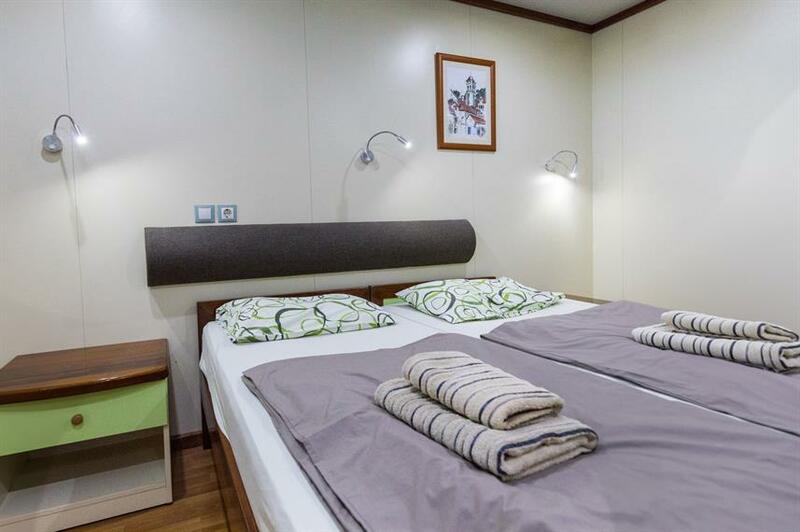 Completed with table, reading lights and portholes which are adding more lights to the room. 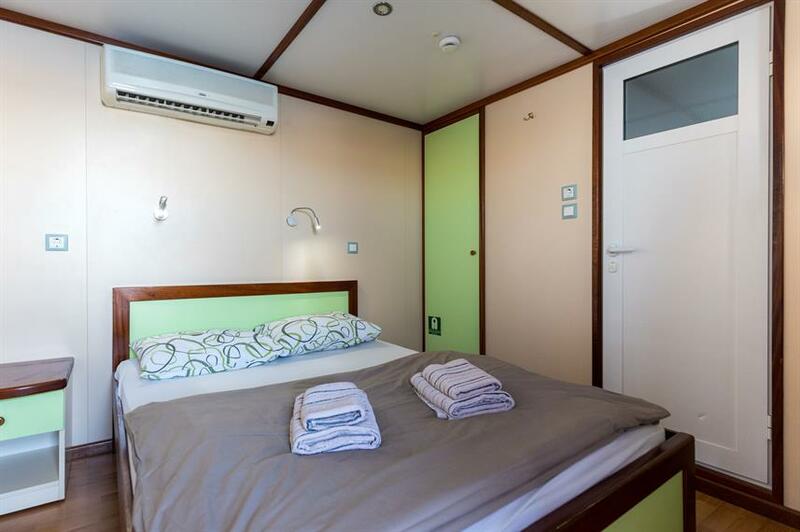 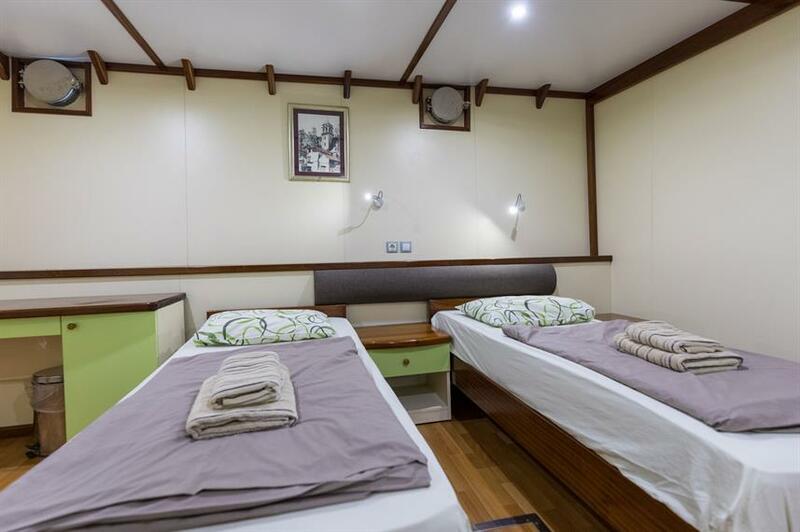 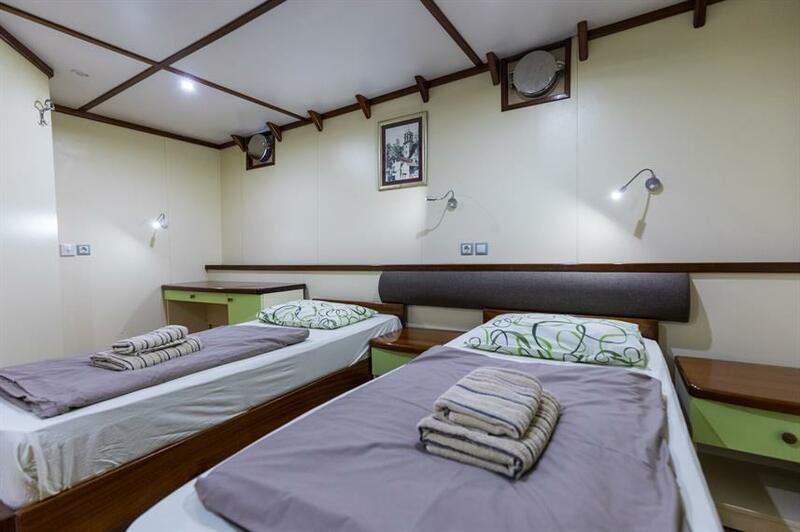 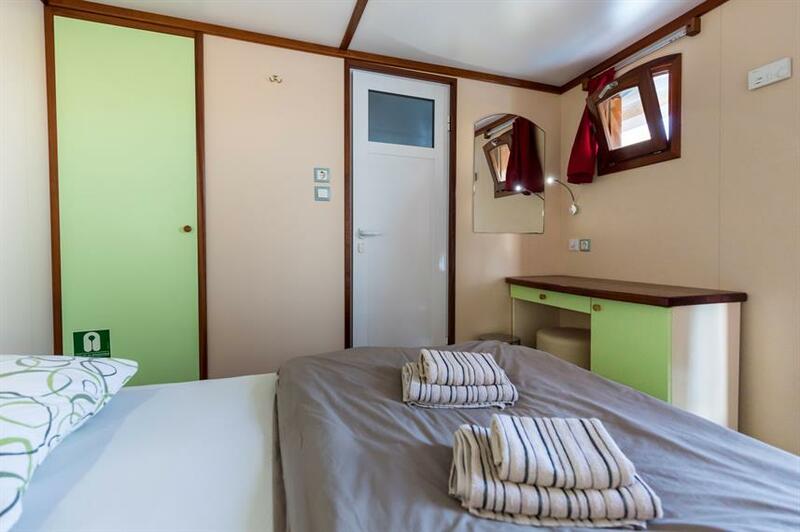 Double/twin cabin with ensuite bathroom, Located on the main deck. 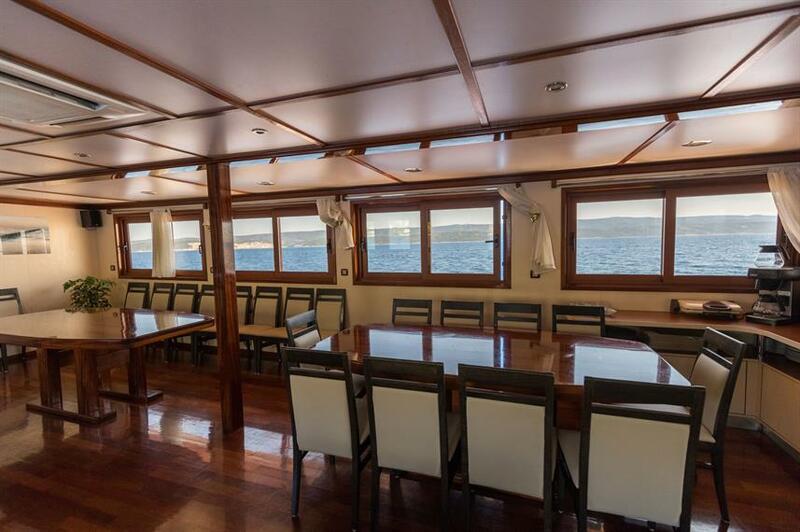 Completed with table, reading lights and small windows which are adding more lights to the room as well as access to the ocean view.